A stop into Edna Valley AVA isn’t complete without a visit to the tasting room of Baileyana and Tangent Wines. Their tasting room is housed in an old, one room schoolhouse built in 1909, where some Wine Club Members within the area even went to school here, at one point. The tasting room sits across the street from their historic Paragon Vineyard that was planted by Jack Niven in 1973. 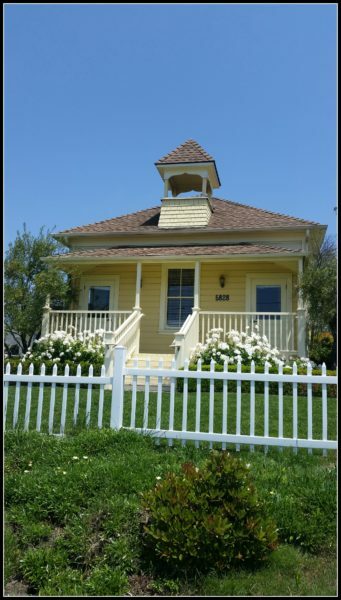 Their Tasting Room which is housed in an old 1909 Schoolhouse! You may not recognize the name of Niven Family Wine Estates, but they have been around since the 1970’s, and were part of the planting of the well known Paragon Vineyard within the Edna Valley AVA. Jack Niven was the one who petitioned for the Edna Valley to become their own AVA, back in 1982. Needless to say, a visit to Edna Valley isn’t complete until a visit to their tasting room. But, you may know the wines of Niven Family Wine Estates as Baileyana, Tangent, True Myth and Zocker Wines. Ring a bell, now? At first, I was a bit overwhelmed by all the brands and labels of wines available, but by the end of my tasting, I completely understood why they did it, and it made perfect sense to me. So, lets break it down for you: They grow 11 Different Varietals of Wine out of their Estate Grown Paragon Vineyards. The Baileyana Wines were created to showcase the beauty of Edna Valley, in particular with their Chardonnay and Pinot Noir varietals. You will find very classic style wines in these labels, that really showcase the area. Tangent was created to have an area that truly showcased their more crisp white wines. For fans, like myself, who enjoy a nice, crisp wine, you will truly fall in love with the Tangent Wine Brand. These are also great wines to try if you’re looking to taste something other than Chardonnay or Pinot Noir off the Edna Valley Wine Trail. And, these crisp, white wines, are just the wines you’ll be looking for this summer. 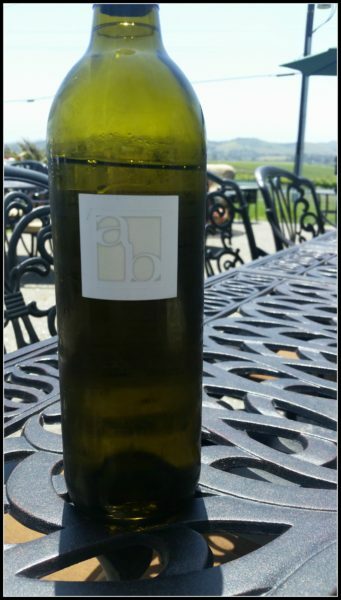 I was pretty excited to try the Albarino, the day was beginning to heat up a little, so that Albarino came out at the perfect time, and the crispness was what I got right off the bat. It made me excited about the Tangent brand. 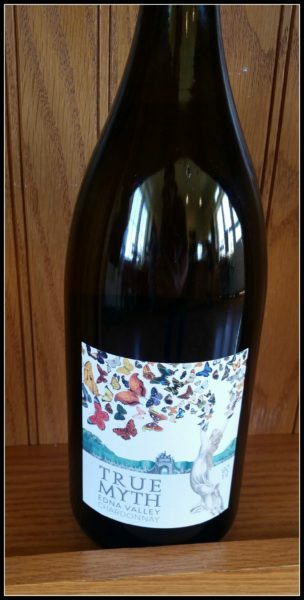 I’m also pretty excited to see they have a Grenache Blanc available, if you have yet to try a Grenache Blanc, I’d recommend the Tangent Brand as a good starting point. These wines stay true to the reason they created them: their crispness. True Myth is a new take on the legacy that was built by Jack Niven. The family is now striving to create a fresh new vision for the longstanding quality of the region (Edna Valley). 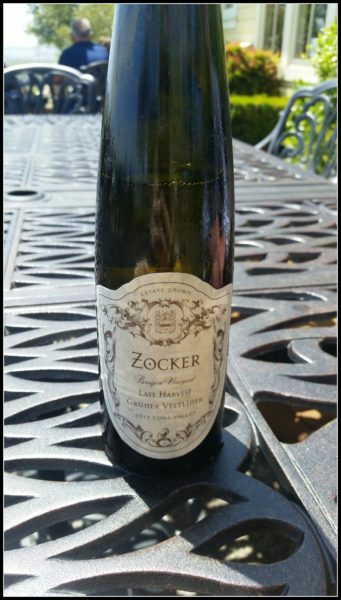 The Zocker Brand also has a Riesling available. I truly enjoyed my visit at Niven Family Wine Estates, and I think you will too. 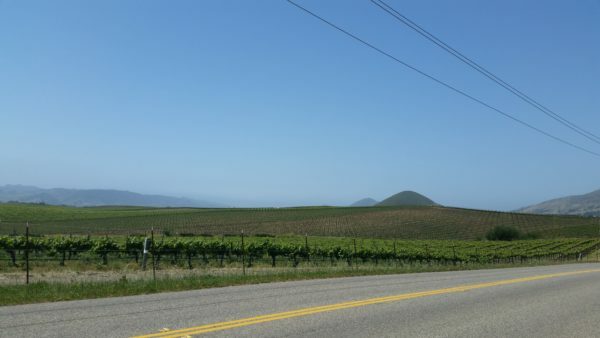 The next time you take a visit to Pismo Beach or San Luis Obispo, be sure to plan an afternoon of wine tasting in Edna Valley, and make a visit here a must on your list. A brief glimpse at the historic Paragon Vineyard Across from the Tasting Room!